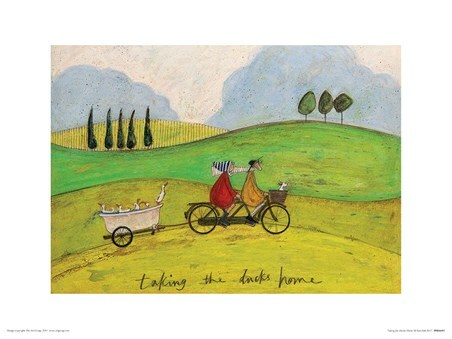 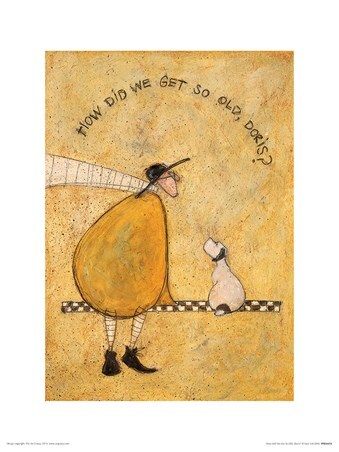 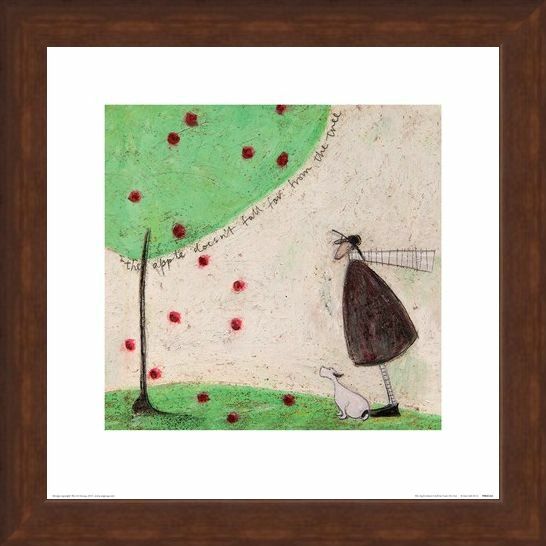 Contemporary Art Print: Ernest Mustard and Doris have once again been featured in a charming and textured print made possible by artist, Sam Toft. 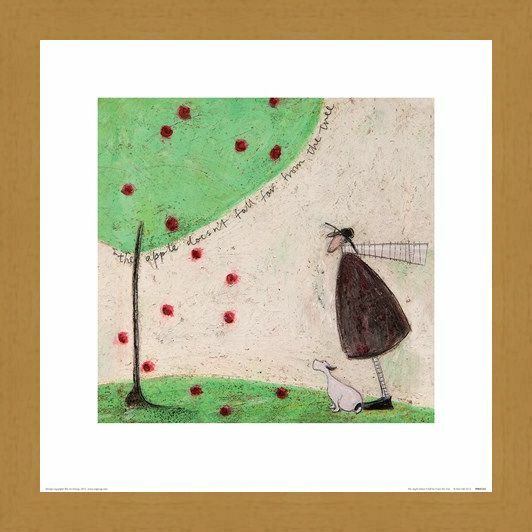 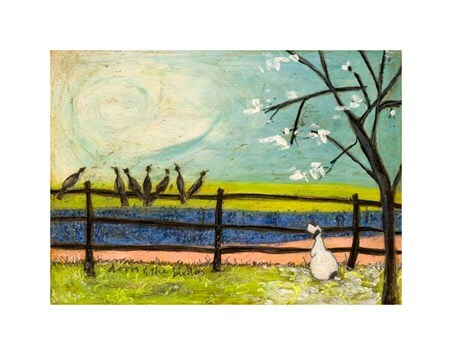 This adorable print depicts the famous pair standing on a lonely hill where they have discovered an apple tree littered with fruit. "The Apple Doesn't Fall Too Far From The Tree" is yet another beautiful image showing Ernest with his beloved dog on another fun adventure. 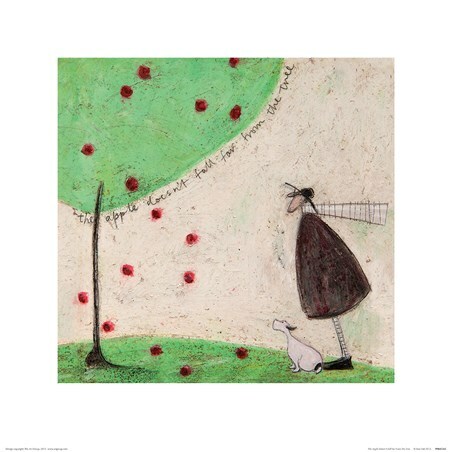 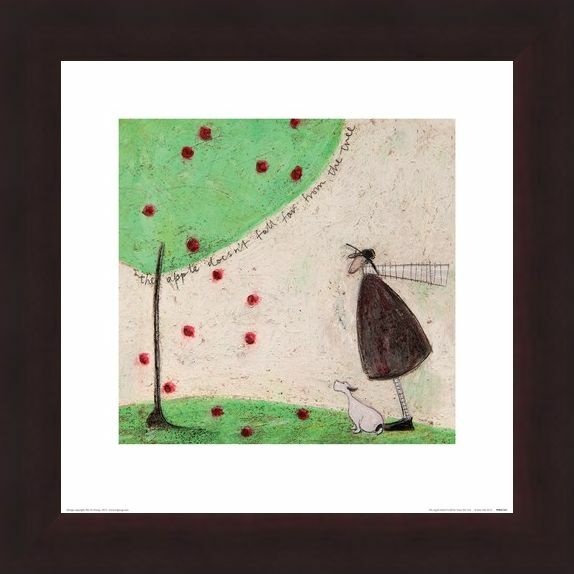 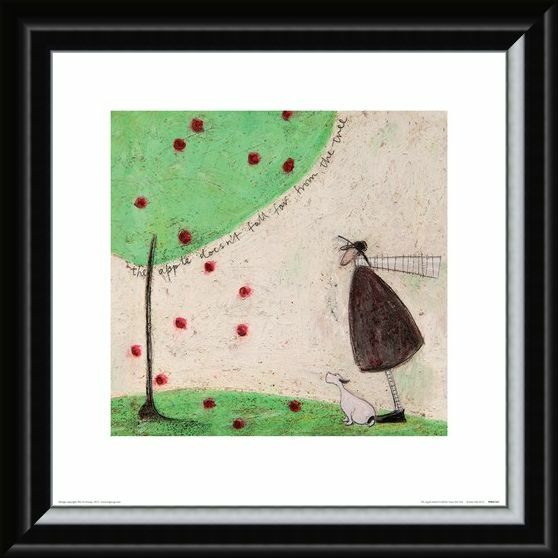 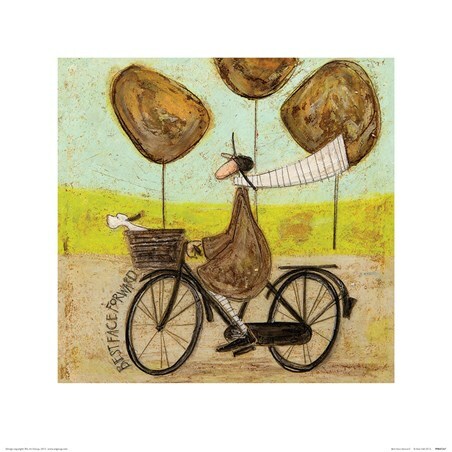 High quality, framed The Apple Doesn't Fall Far From The Tree, Sam Toft print with a bespoke frame by our custom framing service.